A bombshell paper has just exposed the World Health Organization’s attempts to lessen populations in Africa, as has been openly detailed as part of the NWO agenda for many years now. 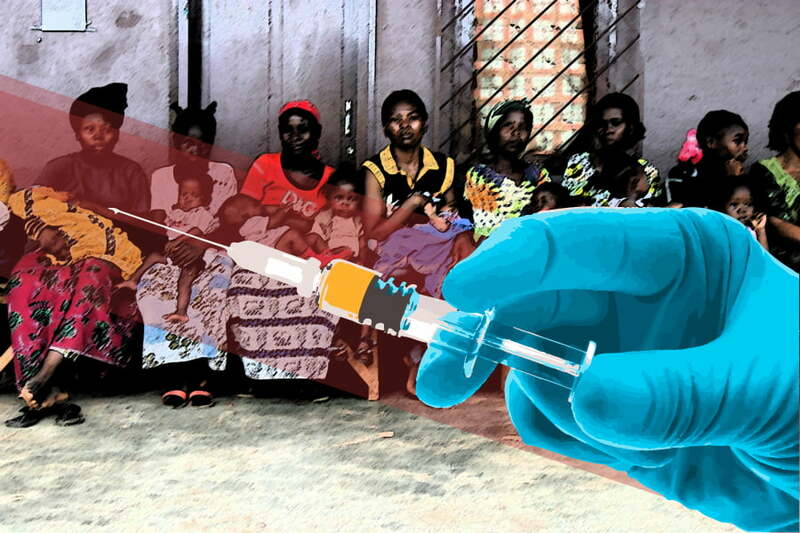 The abstract, titled HCG Found in WHO Tetanus Vaccine in Kenya Raises Concern in the Developing World, written by lead author, John W. Oller and Christopher A. Shaw, and published at Scientific Research, states that the “family planning” drugs the WHO was developing in the 1970s have been added to the tetanus vaccine widely given throughout Kenya and other African countries. By the WHO’s admission, this vaccine could have been given in as many as 18 countries. “In 1993, WHO announced a “birth-control vaccine” for “family planning”. Published research shows that by 1976 WHO researchers had conjugated tetanus toxoid (TT) with human chorionic gonadotropin (hCG) producing a “birth-control” vaccine. “Conjugating TT with hCG causes pregnancy hormones to be attacked by the immune system. Expected results are abortions in females already pregnant and/or infertility in recipients not yet impregnated. Repeated inoculations prolong infertility. The authors of the paper point out reason for concern, as invariably people who think they are just getting a shot to protect them against tetanus, are really signing away their fertility rights. What is even more distressing is that WHO researchers are currently working on more potent anti-fertility vaccines using recombinant DNA. In research already concluded on animals, a vaccine has been developed which renders a male receiver “castrated” in a single dose. Why would the WHO be developing these vaccines under the auspices of tetanus, or any other disease, instead of calling them exactly what they are – sterilization vaccines? “The negative impact of population growth on all of our planetary ecosystems is becoming appallingly evident,” there is rarely transparency in the action taken to fulfill this goal. Not telling 18 different countries in Africa that an immunization is being utilized to lower their birth rates and cause spontaneous abortions lacks transparency in the least, and smacks of an underhanded attempt to cull the masses, at best. Jon Rappaport, and others who have been investigating Big Pharma’s actions in the African continent point to AIDS, and other diseases, as away to decimate large swaths of people who are considered “disposable” by the elite. This proves, singularly, that Big Medicine will use a disease or health scare, such as tetanus, AIDS, etc. to administer drugs which directly or inadvertently raise morbidity rates. This latest paper written by to expose the disbursement of infertility-creating hCG combined with tetanus toxin is just another version of the same game. Why be wary of vaccines? It is becoming extremely clear that the companies who make them are not honest about what is being put into them, who funds them, and the overarching philosophy behind their use. This is horrifying! How can they get away with this?? Thanks for helping to get the word out, PfC.